Picture this; you’ve just walked in the door, kicked off your boots and headed straight for the fridge after a long day at work. Before you can even relax and switch on your favourite TV show, the power goes out. Unfortunately, power outages can strike when you least expect it, leaving many households vulnerable. Yet, just because blackouts are virtually impossible to predict, it doesn’t mean you and your family can’t be prepared. In this guide, we’ll cover the basics of power outages in Australia, and equip you with the knowledge on who to contact should the lights go out at your place. Electricity outages can also occur when overhanging branches or trees come into contact with powerlines. If the power goes out, or you suspect it will for whatever reason (e.g. a severe weather warning), turn off all your appliances at the wall. You should also leave a light switch on so you’ll know when the power has been restored. How do I find out if there are power outages in my area? You can check for electricity outages, or the loss of gas supply, by jumping onto the website of your local energy distributor. It’s the distributor who is responsible for delivering power safely to your home or business, as well as maintaining powerlines, pipes and transmission grids in your area. 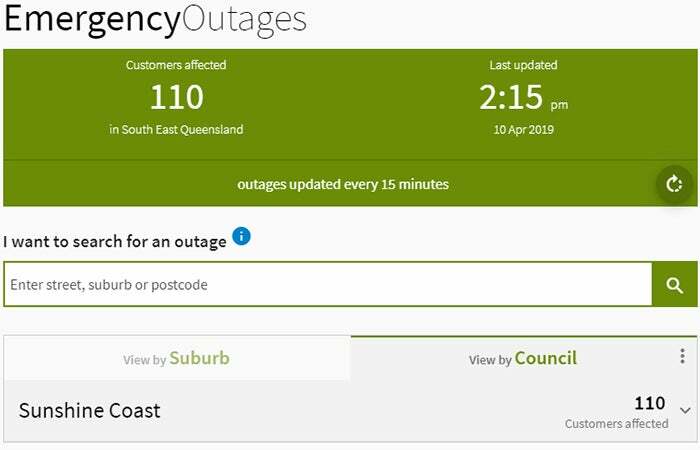 Generally, your energy distributor will have a power outage map on its website where you can input your street, suburb or postcode and receive frequent updates of any outages reported in your locality. The example below comes from Energex, the electricity distributor for south east Queensland. Not entirely sure who your energy distributor is? That’s fine. Keep reading to find your gas or electricity distribution network. Who is my electricity or gas distributor? Who to call: Power outages Victoria? Who to call: Power outages NSW? Who to call: Power outages QLD? Who to call: Power outages ACT? Who to call: Power outages SA? Who to call: Power outages Tasmania? Who to call: Power outages NT? Who to call: Power outages WA? Gas customers in Western Australia should refer to the Public Utilities Office, the Economic Regulation Authority (ERA), or the Energy Ombudsman Western Australia for any energy-related queries. How long can a power outage last? In many cases, power outages only last for short periods of time and are usually resolved within an estimated timeframe according to your energy distribution network. This will, however, depend on whether the interruption is due to equipment faults, environmental impacts, third party contact, cable digging, or weather-related damage. 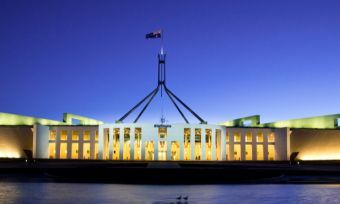 Unfortunately, Australia is no stranger to extreme weather events like bushfires, cyclones, floods and hailstorms. Our harsh climate can often impact the nation’s energy infrastructure, bringing down powerlines and damaging electricity grids – often resulting in longer durations without power. Given that no two weather events are the same, it is extremely difficult to give an exact timeframe of how long a power outage will last, but your energy distributor will generally try to keep you updated in the process. What is a scheduled power outage? A scheduled power outage is essentially the planned maintenance of energy infrastructure, usually carried out by the distributor. Much like a car, distribution networks, powerlines and gas pipes require constant upkeep to ensure that electricity and gas supplies run efficiently and safely to homes and businesses. So, there you have it. Next time you’re without power, you’ll have a better idea of what to expect and who to call.